The Stamps Law group wanted to offer a variety of tools to their current and potential clients. This is why they created their app to include four practice area incident centers. 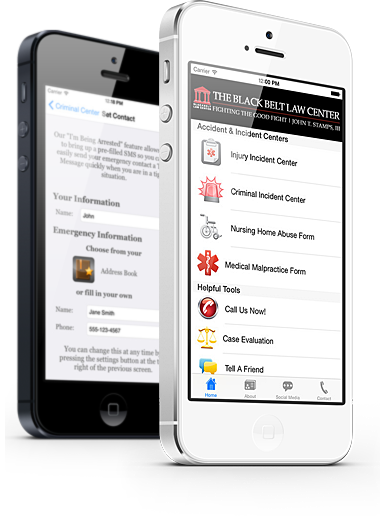 They are sure to have a valuable resource for any potential client that downloads their Black Belt Law Center mobile app.